"I attended dBs Music from 2005 to 2007, I studied the diploma in music technology and sound engineering. The course provided a very extensive range of areas in the industry, both from a technical and philosophical viewpoint. I was impressed with the facilities and equipment available for the students. My time at dBs Music coincided when home recording and computer music production was taking off and really going mainstream. dBs Music was on the ball with introducing new equipment to keep up to date with the rapid change in technology from individual workstations to traditional recording studios, and they gave plenty of time for us to get to grips with how to use it. " "Go in with an open mind, delve beyond your core interests and enjoy the ride. If you have the ability, get a home studio setup and/or spend as much time using the facilities provided at dBs Music. Get as much hands on time as you can. Make songs, record podcasts, muck about and find your niche…. Don’t let it all overwhelm you, you’re meant to be having fun." Tell us about your role at Denhams, how did you get the job and find it? 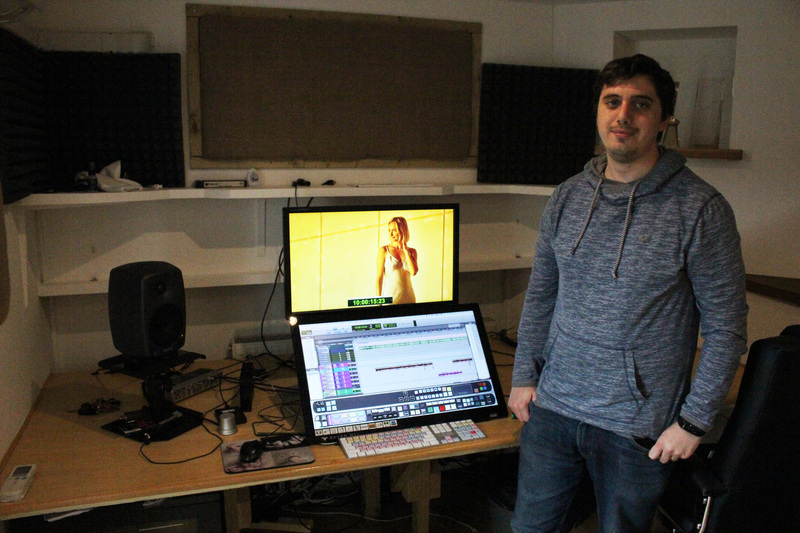 "Shortly after finishing my course, I was approached by Denhams to help make sense of a Pro Tools studio that had recently been installed. Before long I ended up becoming the in house dubbing mixer taking on the audio post production duties for many TV shows and corporate films. 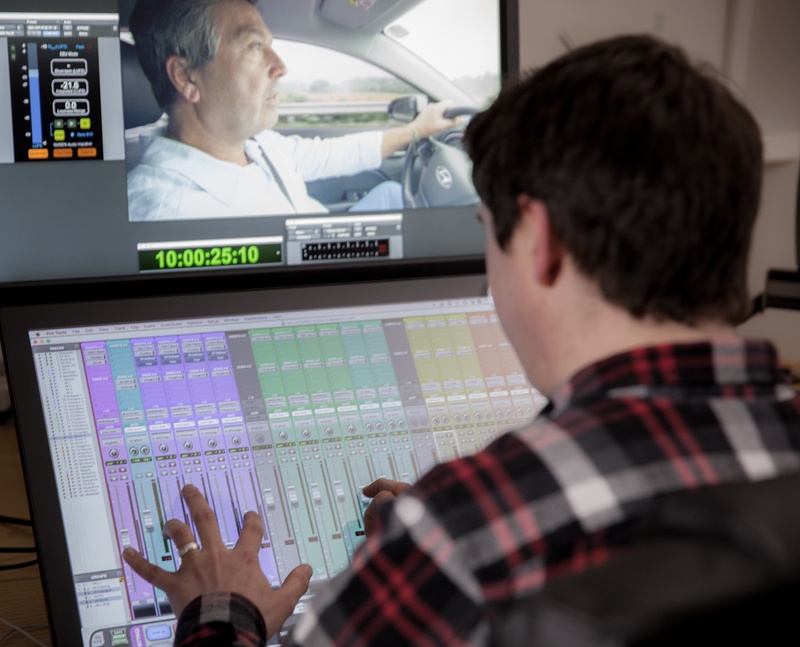 Over time, I became familiar with the whole process for how a TV show is produced and additionally to dubbing I now oversee the technical aspects of our post production department." "After almost a decade, I’ve worked on hundreds of TV shows, many corporate films and advertisements. I also dabble in radio and music production when the opportunities present themselves. Recently, we launched Denhams Audio, a new venture in which we provide voice over recording, audio post, music and radio production to new and existing clients." What has been your favourite one so far? "I’ve very much enjoyed my most recent work. In the last year I’ve been working on all of the audio post production for Rick Stein’s TV series on BBC 2 and a program with Masterchef’s John Torode on his travels around Korea. We have recently upgraded our voiceover and recording setup and it’s been great to work directly with both Rick and John. Aside from that I enjoy working on a lot of our corporate videos, especially the animated films as it gives me a chance to do a bit of foley and design some quirky sounds." 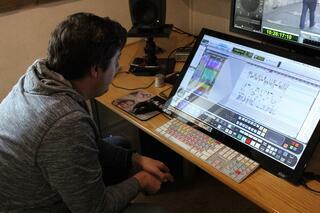 How has your time at dBs Music influenced your career so far? "I can say dBs Music has helped me to understand and expand into different parts of the audio industry that I wouldn’t have even considered, including the line of work that I ended up in. I appreciate that I managed to use a lot of different equipment and software including Pro Tools, which I now use day in day out. Having a knowledge of this helped me to get a foot in the door. "That said, after all this time, I’ve found things I’ve learnt to apply to the job in many ways including sound design, microphone positioning, dealing with people and talent and studio problem solving. The course helped me to shape my career early on and will continue to evolve going forward." What was your best experience while at dBs Music? Why? "Looking back, the best experiences I can take away are when I was working with others, learning and helping each other out, nailing a great take with talent or a musician, learning and improving in my mixing skills over time I was there." "In the short term, I’m working on a brand new Rick Stein series for BBC scheduled for 2018 and another series about about baking in the Far East with Donal Skehan. I’m also promoting our new venture Denhams Audio. There are some other things in the pipeline or next year which I can’t talk about just yet." Want to kick start your career in music and learn directly from experienced industry professionals connected to the wider music industry? Why not check out our diploma courses? Diplomas are aimed at ages 16+, have the same points as A-Levels and work for anyone looking to get the qualifications needed for entry into higher education.